Natural stone is a beautiful enhancement to your outdoor living but must be properly maintained to prevent wear and damage to the stone. Ever notice spots on the stone patio around your grill, or white splotchy areas throughout your patio or walkway, commonly referred to as efflorescence? Possibly high traffic areas? These issues can all be fixed! 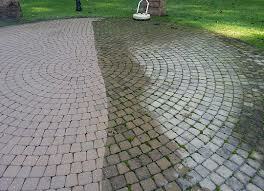 Please call to discuss goals of improving your outdoor surfaces.